A federal regulation, known as the settings rule, will soon cut funding for facilities that have the option for people with disabilities to work in a segregated work environment. Some Utah parents worry their children won’t be able to find a job that fits their needs outside of sheltered work programs. A federal Affirmative Action requirement designed to help individuals with disabilities find employment has parents of children with intellectual or physical disabilities concerned. The regulation, known as the Settings Rule, forces people with disabilities to find a suitable job in their community in order to receive federal funding. For individuals with disabilities, workshops where those with cognitive or developmental challenges train and work together have for years been covered by federal employment funds. But according to the affirmative action Settings Rule, this type of employment facility is operating outside of the law, by allowing those with disabilities to work in a segregated work environment. Kae Lynn Beecher is the executive director of the Cache Employment and Training Center which was first organized in the 1950s by parents of children with disabilities to help provide employment training for family members with special needs. By 1961 there were 15 children attending the Cache Training Center in a former LDS ward building in southwest Logan. Beecher says today, services have expanded to include clients from northern Utah and Idaho. Because the law considers the training center Beecher manages to be a segregated work shelter, unless she and her staff make changes, those with disabilities who continue to work there will soon lose federal funding used to pay the center for job training services. To remain compliant, job support centers will need to find ways to help their disabled clients find jobs in their community, basically shutting down the work shelter option. “Families are worried about some options being taken away from them in the process. And that’s why all these meetings are so important — so that families can have a voice,” Beecher said. Administrators with the Utah Department of Health and Human Services met with parents at the training center for one of several informational meetings to explain the law. Some parents say they worry there won’t be enough interest by business owners to hire the number of disabled employees who will lose support services and funding if they don’t find a job in the community, away from other individuals with special needs. JoAnn Olney’s adult daughter has intellectual disabilities and has been a client with the Cache center for nearly 20 years. “My biggest concern is probably that the special needs population still have a choice — that they are able to make their own choices and not be forced into something because I feel they have that right as much as we do," she said. Olney's daughter and her co-workers construct cardboard boxes for a local cheese manufacturing company. Workers receive compensation for each box they complete in an environment that may be defined by the law as segregated, but for Olney and other parents at the meeting, they see the shelter as a safe place to work and learn….safer for some than working in the community. Tonya Hales the assistant Utah Medicaid director. She said it’s important to give every citizen, every individual, an opportunity to work and integrate within their community. 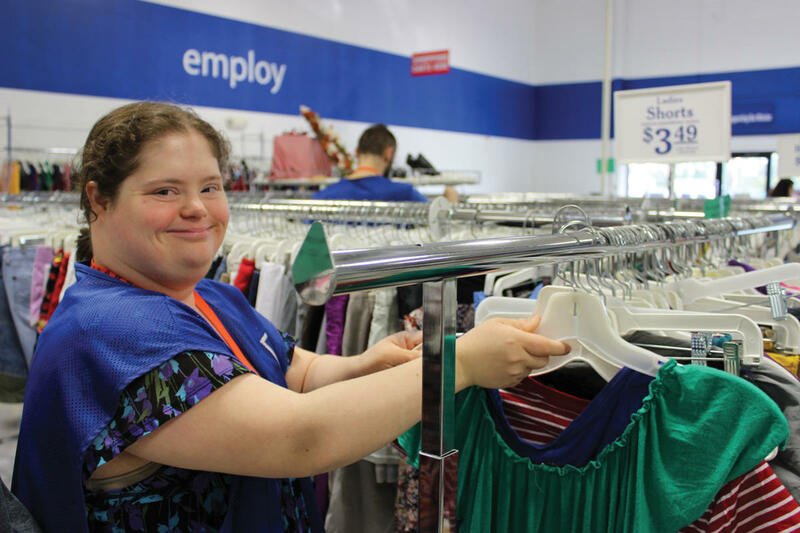 Workshops for individuals with disabilities have the tendency to be viewed as a work environment that limits, rather than enhances, opportunities for training center clients for community-based employment. While some facility managers and parents are struggling with the implementation of the rule, others have already begun to implement the desegregation regulation. Angela Hauptman is the assistant director of Logan’s RISE Services, a Utah non-profit provider of statewide services for individuals with developmental disabilities. She says RISE Opportunity Centers are already working with individuals who choose to pursue and obtain competitive, long-term employment in the eight communities they serve, including St. George and Ogden. “It’s been a really smooth transition because we haven’t had to make a lot of changes," Hauptman said. She said the Settings Rule is complex, and like most issues facing the disabilities community, it will always be difficult to find a perfect solution. For Olney, she worries her daughter won’t thrive in a desegregated work environment. Hauptman does say the requirements will give those with disabilities the same opportunities able-bodied individuals have and will keep them from being overlooked or forced into a segregated situation. Drew Shepard, who is an employment specialist for Logan’s RISE, is the one who works with local business owners and managers to help find jobs for their clients with disabilities. This means finding employers in the community willing to hire staff that need a job coach or other adaptive considerations. Shepard sees how his clients benefit by working in their communities and he supports the idea of pulling funding from segregated work shelters that serve individuals with disabilities. He also understands where concerned parents are coming from. The Settings Rule changes have been on the books for years but the funding cuts for non-compliant programs and disability funding recipients won’t take full effect until 2022. This means facility managers have three years to make changes and provide programs that will do away with segregated or sheltered employment for individuals with disabilities.